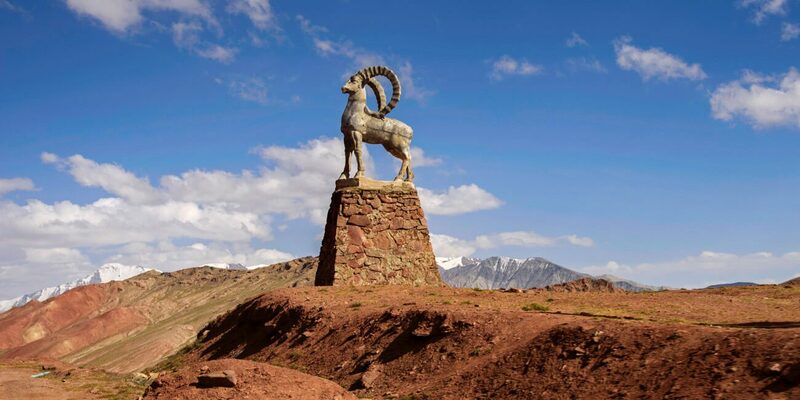 At 4,280 meters above sea level, the Kyrgyzstan – Tajikistan border crossing at Kyzyl Art Pass is one of the highest and most stunning border crossings in the world, as it goes along the M-41, more popularly known as the Pamir Highway, one of the most epic road trips on Earth. Surprisingly, crossing it is pretty easy but there are some important things you need to know regarding transportation and other stuff. Transportation – How to cross the border? 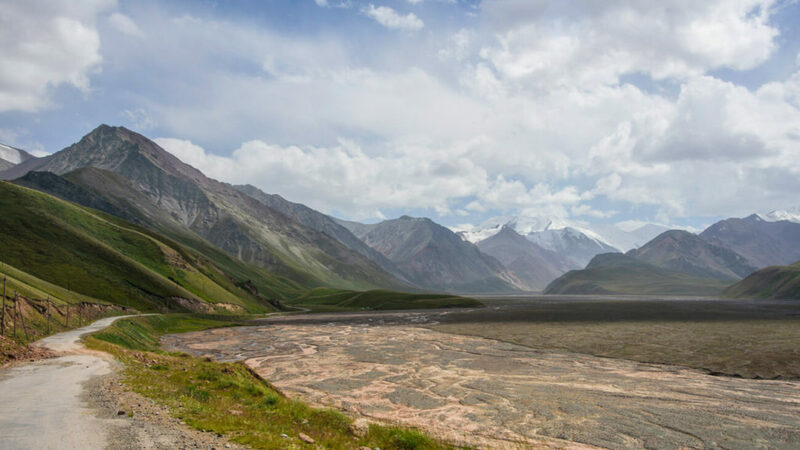 And also your GBAO Permit – Kyzyl Art Pass is the gate to Gorno-Badakhshan Autonomous Region, an autonomous region in Tajikistan for which you need an especial permit. 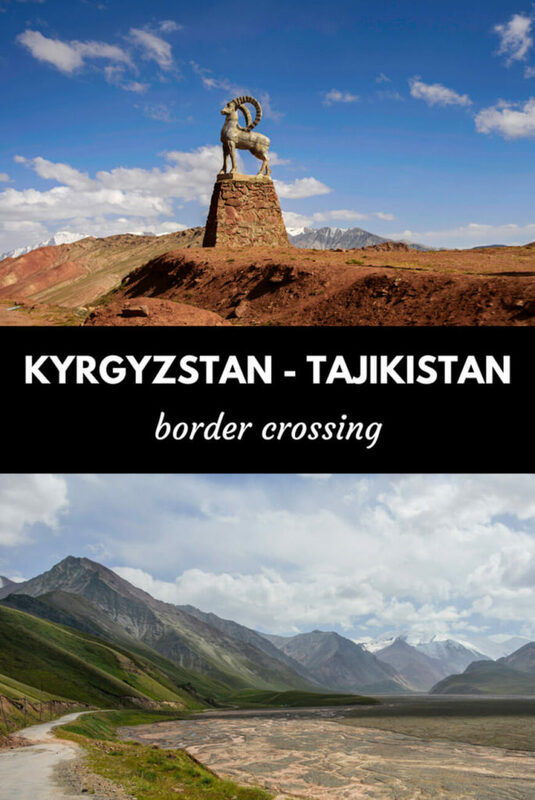 There is no public transport – No public buses or marshrutkas enter Tajikistan and vice-versa. Instead, you will have to go by shared local taxi or in your own vehicle. Get some Tajik SOMONI in Osh – If you enter from Kyrgyzstan, you should get a couple of TJS in Osh. In my experience, banks don’t have SOMONI, so you’ll have to exchange at the stalls located next to the bus station to Sary Tash. Buy snacks and water – Between Sary Tash and Karakul there are no towns or shops where you can get food. 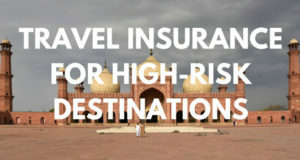 Don’t give money to the authorities – If your visa is in order, you don’t have to pay anything extra to the authorities. Occasionally, especially on the Tajikistan side, the policemen will make up any story, like you need a health certificate or something like that, in order to get money from you. It’s a complete scam so you must say NO. If you stay firm, they will let you go. 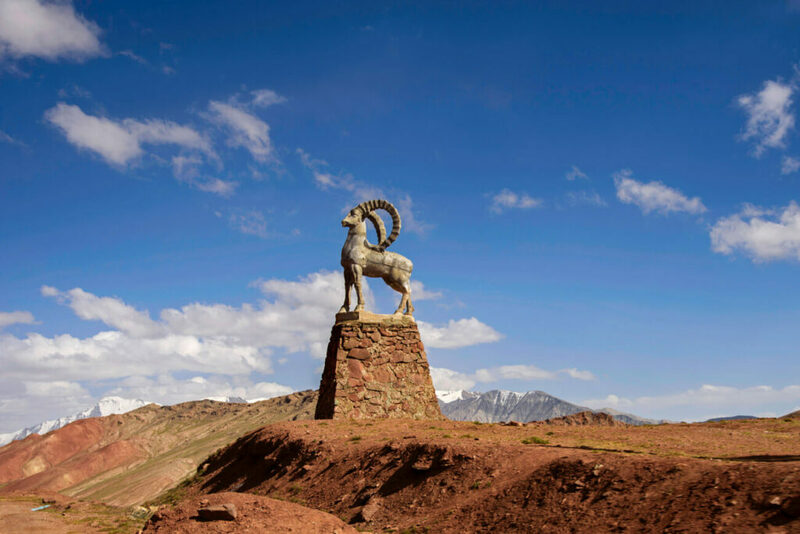 Sary-Tash – Closest town to the border on the Kyrgyzstan side. 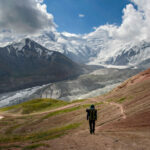 Karakul – Closest town to the border on the Tajikistan side. There are local shared taxis ”almost” every day connecting both countries but, unfortunately, they only run from Osh (Kyrgyz city) to Murghab (Tajik town) and vice-versa. It’s possible to get one in Sary-Tash and get off in Karakul, but you will have to pay the whole journey, from Osh to Murghab. 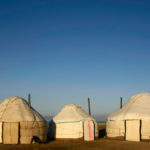 How to get the shared taxi from Osh to Murghab – The shared local taxis to Tajikistan don’t run regularly and timings vary and change every day, as it depends on how many people want to cross the border on that day. Furthermore, there is no ”taxi station” for Tajikistan, which means that you’ll need a local contact. Luckily, there are several people who can arrange it for you. First of all, I recommend you contact Ibrahim, a taxi driver from Murghab who does this journey a few times a week. He is the only man who charges the local price to tourists, which is 2,000KGS ($30). He speaks English, so call him at 0778790365 and ask him when is he planning to cross. Additionally, if you can’t go with him, Osh Guest House can also organize a shared taxi for you. However, they will charge you 2,500KGS ($37), meaning that they get a 500KGS commission. If you are in Sary-Tash or Sary-Mogol, CBT Sary-Mogol can arrange it but they will also charge 2,500KGS, although they can tell the driver to pick you up in Sary-Tash, instead of Osh, no problem. If you have time, hitchhiking is also possible. For this, you would first need to go to Sary-Tash. If you go there by public transportation from Osh (185km), marshrutkas run until 2pm and they cost 350KGS ($5). It’s a 3 to 4-hour journey. After 2pm, it’s also possible to go there by local shared taxi but it will be more expensive. In Sary Tash, go to the intersection that leads to Tajikistan and wait there until someone picks you up. You are most likely to hitchhike on a Chinese truck, as local cars tend to be full and, sadly, many tourists won’t want to pick you up. Just be patient! By the way, most truck drivers may expect a little money. Of course, the easiest and most enjoyable way would be to go there on your own vehicle. Please note that if you go in your own car, with a foreign license plate, you may have to wait at the border for longer. 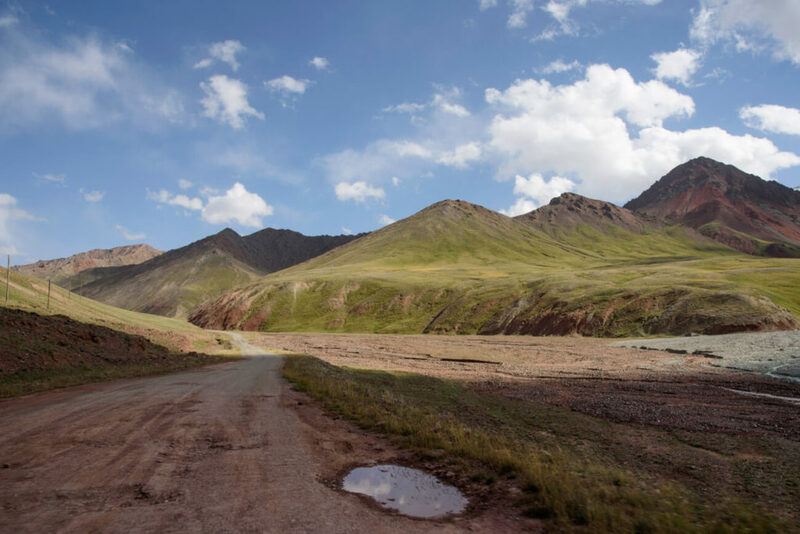 I am not a cyclist but, throughout my journey along the Pamir Highway, I met several cyclists who told me their story. You can’t go from Sary-Tash to Karakul in one day and you’ll need to camp in no man’s land. Remember to bring loads of water. 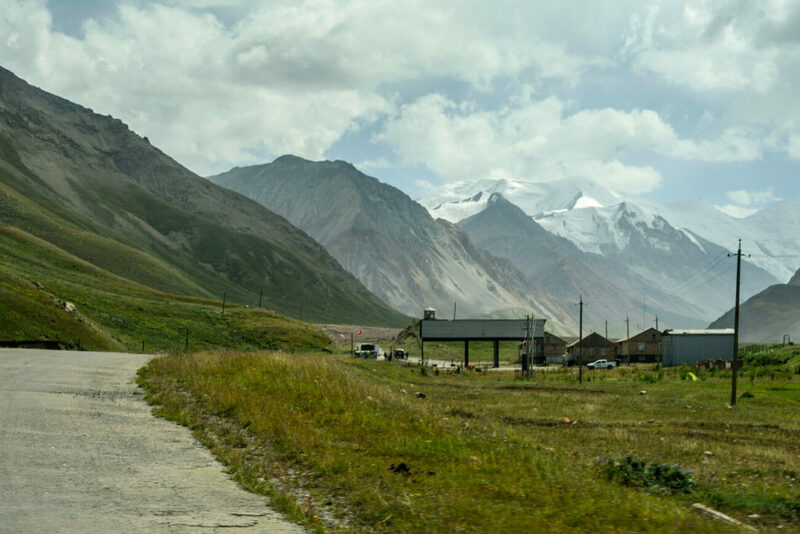 Here’s a just a short report of the journey from Sary-Tash to Karakul, which is a small part of the M-41 (Pamir Highway). This is one of the most scenic roads in Kyrgyzstan. Before arriving in Sary Tash, you pass Teo Morun, a 3,500m mountain pass from where you get stunning views of the Alay Valley. In Sary Tash, there is a gas station, as well as a few shops and restaurants, so it’s a great place to stay have a break or spend the night. After Sary Tash, you will cross the Alay Valley, a magnificent, dreamy plain. After the valley, you reach the Kyzylart Pass, so the border. 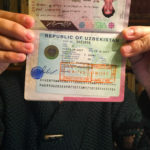 Kyrgyz side – We just had to get from of our car and got our exit stamp very quickly. No man’s land – No man’s land goes through the Kyzylart pass and it’s frankly spectacular. 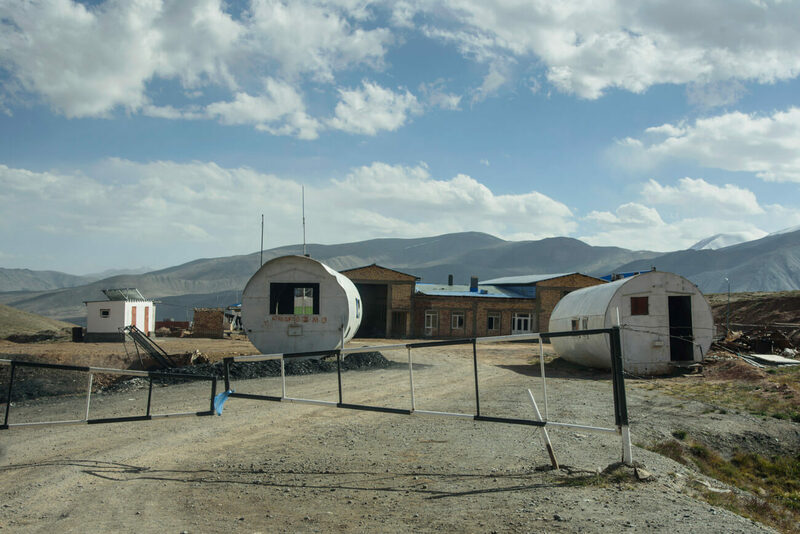 Tajik border – We didn’t even get out of the car. They checked that our visas were valid and, in a couple of minutes, we were good to go. A pleasant and stunning part of the Pamir Highway. In my opinion, the best part of the M-41 on the Tajik side. 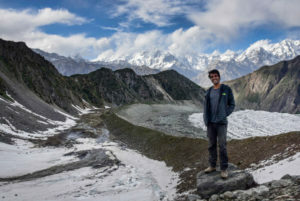 For more information, including an itinerary, transportation along the Pamir Highway, safety, accommodation, etc., don’t forget to check my guide to the Pamir Highway. I love the sheep statue man! 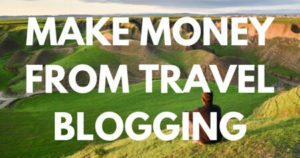 I’m thinking about the trip to Kyrgyzstan and your blog seems to have some useful information I’m looking for. Thanks! 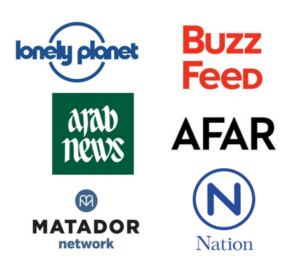 I have heard much more about this country and this post added some more things to it. I would like to explore this country and as the changes are favorable I will get it in the upcoming year. Thanks for sharing this post.